This is my personal journey after a real and engaging relationship with Jesus. But it’s also about the crippling brokenness in His Body today, which that journey revealed. The same shame-based spirit of religion that fueled the 9/11 terrorists infects and divides the Body of Christ today. Christians can’t overcome this spirit in others until we first let Jesus overcome it in ourselves. Here’s how. 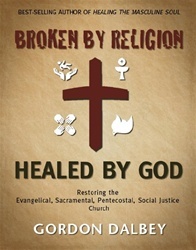 This book will stir you to a faith both passionate about its truth and compassionate in its grace. But to walk it out, you’ll need to give Jesus your shame. In the Bible, Jesus reveals Himself in four major ways, each of which has been claimed by a larger Christian faction: the born-again experience, by Evangelicals; eucharist/ communion, by Sacramentalists; the baptism of the Holy Spirit, by Pentecostals, and social justice ministry, by Oldline Reformers. Instead of celebrating each other’s vision to know Jesus more fully, the Church has divided accordingly, sabotaging both its credibility and mission. 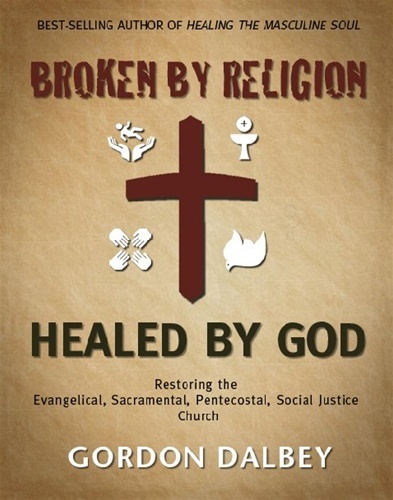 Historically, religion has too often promoted an intermediary, virtual relationship with God--substituting laws, behavior standards, and rituals for the tears and joys, fears and hopes of honest relationship. Insofar as an email “protects” you from the discomfort and risk of face-to-face encounter, religion can protect you from God. The same sectarian, shame-based religion that fueled the 9/11 terrorists infects the Body of Christ today. Like towers of human construction, a Church divided today will fall tomorrow, and with it the world Jesus died to save. GOD HAS A PLAN—ARE YOU READY? I found myself sneaking from camp to camp, learning from Catholics, Evangelicals, Pentecostals, and Oldline social reformers, yet being careful not to reveal in any one church my sympathies for the others. Most people don't want to be healed--at least, not as badly as they want to cover their shame. God’s love is not a zero-sum game. There’s plenty to go around. You don't have to condemn someone different in order to affirm yourself. You just have to know how much your Father loves you. To look forward to communion with excitement--as my friend looked forward to being with his wife again--you must believe that Jesus will actually be there at the table with you, alive and active, even in your behalf. Biblical faith redefines safety--indeed, peace itself--not as the absence of threat, but the presence of Jesus. Those who have little of the world’s resources reflect the deeper reality that we all have nothing except what God has graciously given us. Material comfort and security are good insofar as they are seen as the undeserved gifts of a graceful, loving God, and evil insofar as they separate us from the needs of others and make us unresponsive to their suffering. Christians are not called to fit into this world, but to change it. Moses came to tell us what to do; Jesus came to show us Who does it.